As you enter McLaren Vale, Caffrey Street is the first on the right hand side. Travel 300 metres and pull into the gravel drive. Follow the signs to reception. Wood Oven Pizzas now available. We have a wood oven on site so just place your orders by 5pm, or prior to arrival, and we will deliver to your door. January special: free garlic bread with each order. The Cottage. Ground floor. Very private. Self contained. 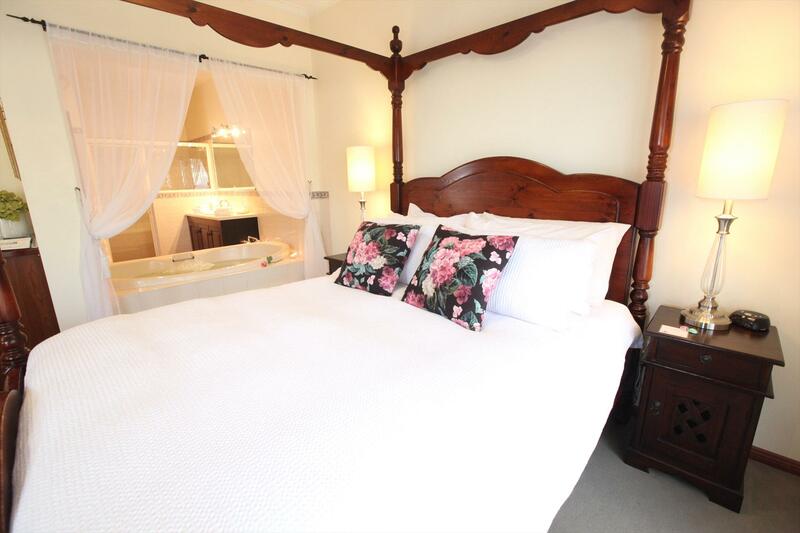 2 person spa open to the bedroom and bathroom, toasty open log fire and a gorgeous 4 poster bed. Breakfast provisions for either cooked or continental included. 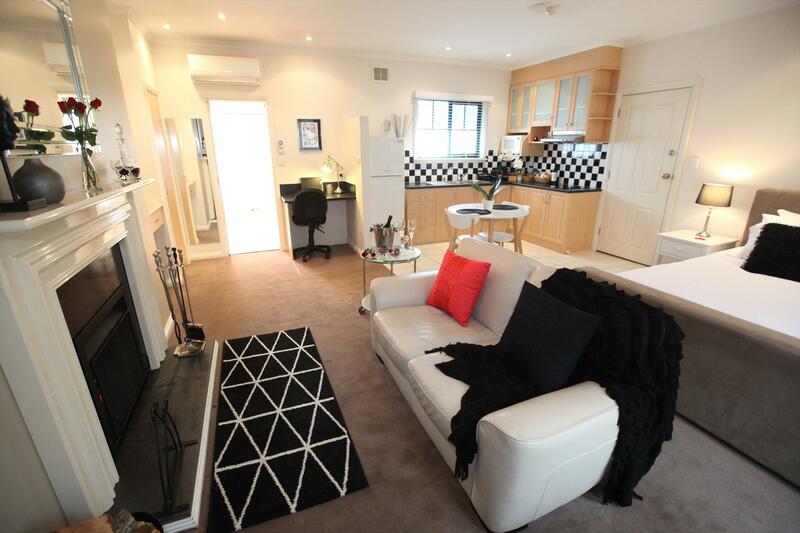 French doors open onto your own private courtyard with BBQ. Our housekeepers service daily. The Studio Suite. 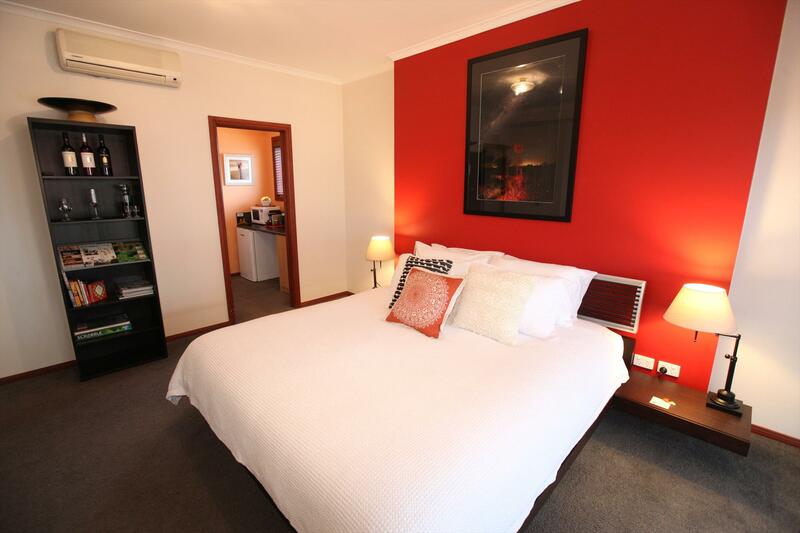 2 roomed suite featuring 2 person spa open to the bedroom & bathroom with a gorgeous 4 poster bed. The sitting room has a cosy open log fire. Our housekeepers service daily. The Retreat. 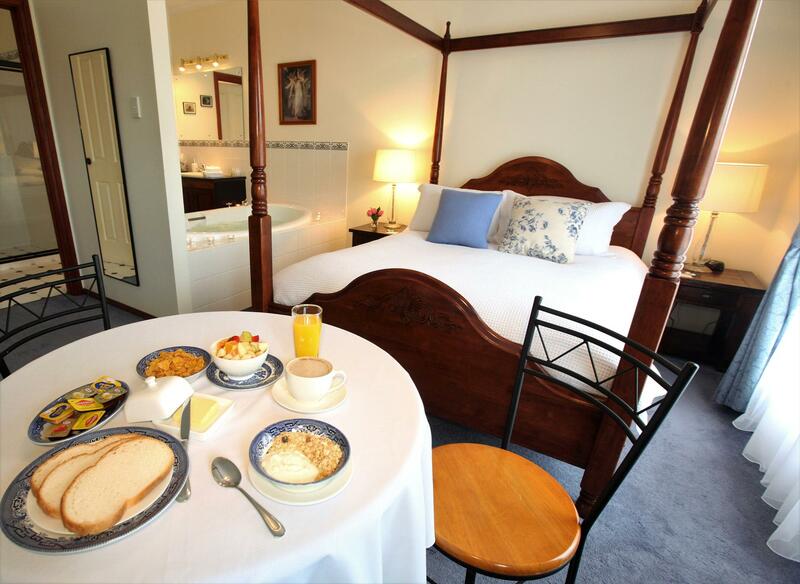 Australian themed, large suite with king size bed, open log fire & french doors leading to a balcony, with bbq and vineyard views. The Contemporary Suite. Contemporary in design and fully self contained. Featuring a gorgeous King wrought iron bed overlooking the toasty open log fire and a 2 person spa in a stunning bathroom, . Breakfast provisions for cooked or continental included. Small Balcony for alfresco dining. Walk to restaurants. Our housekeepers service daily. Cancellations notified more than 30 days prior to departure will be entitled to a full refund less 25%. Cancellations notified less than 30 days prior to departure will forfeit all monies paid.